Here at Select Products, we offer a quality installation service to all of our customers. Select Products understands the importance of providing excellent double glazing products, which is why we will only provide you with the best quality in double glazing. All our builders are highly qualified and experienced within the double glazing industry, so you can expect a professional service at all times. When it comes to choosing a company to install their windows, Leeds’ customers choose us. Our fitters have a wealth of knowledge on double glazing, having installed fantastic double glazing to many satisfied customers in the West Yorkshire area. We are a family-run double glazing company, delivering an exceptional service to every customer. We built our excellent reputation on professionalism and reliability. 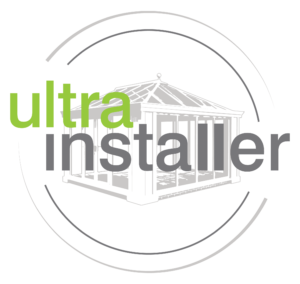 We can provide you with a stress free installation service; our fitters will make sure the process runs smoothly, from start to finish. Contact us on: 0113 257 8933 and our friendly staff will be happy to help with your enquiry. With an extensive range of conservatories, windows and doors available, we can help you find the perfect home improvement solution for your Yorkshire home. We supply and install a huge selection of high-calibre double glazed products including: uPVC Windows and Doors, Aluminium Doors and Windows, Wooden Windows and Doors as well as Conservatories, Orangeries and Roofline. Browse through our range below, you’ll be sure to find a style and product to complement your property beautifully. Select Products can also provide you with instant prices for your double glazed windows and doors. 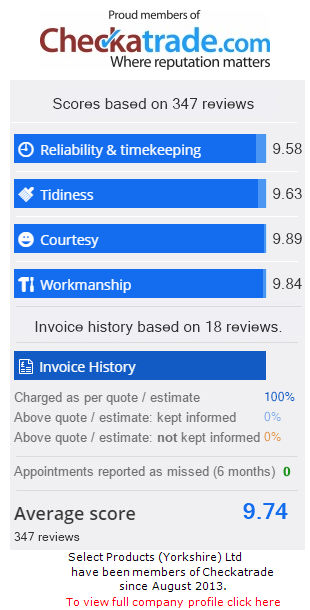 Our online quoting system is completely free to use, and enables you to calculate your unique cost within a matter of minutes.